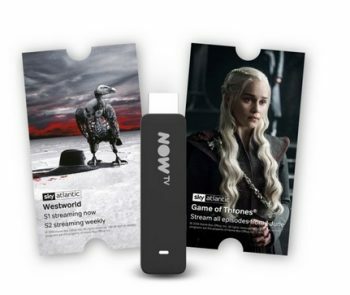 500 extra Clubcard points with Now TV media streamer stick! Tesco has brought back its Now TV extra Clubcard points offer! Yes, Tesco has finally launched an extra Clubcard points offer and I hope this wasn’t the last. If you are familiar with Google Chromecast or Amazon Fire Stick, Now TV works in the same way. It connects wireless to your broadband signal and allows you to stream content to your TV. As well as accessing BBC, ITV, Channel 4 and Channel 5 there are also lots of other channels available, many of which would otherwise require you to pay for a full satellite or cable subscription. Until 31st October you will get 500 extra Clubcard points when buying a Now TV media stick with a two month Sky Pass. The Now TV media stick costs £20 which is the same price you would pay on Amazon. Considering the possible £15 value of 500 extra Clubcard points if exchanged at 3 x face value this is quite a good offer – and definitely the best offer we’ve seen in a long time. You need to order by 31st October to get 500 extra Clubcard points. The product page on the Tesco website is here. Shame, the offer is unavailable for some reason. Unavailable for me as well – as these are coming from your nominated local Tesco grocery store (not from Direct any more) it could simply be that your store & mine don’t stock it. for students or somebody who knows a student – if you’re new to Now TV, use the £5 voucher first. When not logged into Tesco.com the item is available, as soon as I login it becomes unavailable. Weird. Is this offer available in stores or online only? It’s available online if your nearest grocery store stocks it…. Things were easier with Direct….. Compared to last years offer this is nowhere near as attractive……they were selling the black generation 2 Now TV box for £12.50 and you could turn your 500 bonus points into 4x value. True, but at least they do offer bonus points…. 1000 points when I tried two. Few £0.00 c&c slots at my local store. Others 50p and £1. The Sky Store voucher has reduced to £3.49 on the latest one I picked up today.